Car insurance can protect you financially if you have a road accident this winter. Ice and snow aren't the only factors that make driving at this time of year more dangerous; icy windscreens can also play a part, restricting your visibility if they are not cleared properly. Last winter's low temperatures and record snowfalls affected almost the whole country; it was the most widespread and prolonged spell of snow across the UK since December 1981 to January 1982. If last year is anything to go by, it's unlikely that you'll be spared this winter from the problem of ice on your windscreen. There is something especially depressing about stepping out of the house in the morning to find that the air is still below freezing. This is only made worse by the realisation that you have to clear ice from your windscreen. You could put a sheet of cardboard under your windscreen wipers. In the morning you should be able to throw the stiff card in the boot and drive off with a clear view. Another option is to get a bucket of warm water and pour it over your windscreen. However, we wouldn't recommend this as if the water is boiling there may be some risk of the glass cracking. If your windscreen does break, your car insurance may cover the cost. In some instances your insurance provider may even pay for any repair to the bodywork that has been damaged by broken glass from the windscreen or windows. If you know there is going to be a frost, you could apply anti-freeze to your windscreen the night before. However it is worth bearing in mind that some anti-freezes can damage paintwork. At the end of the day, a good old-fashioned scraper may be the best tool for the job, just be sure to clear the ice properly. In the early hours of the morning, some people drive around peering through a post box sized hole they've scratched out of the ice. The chances of having a road accident increase dramatically when vision is limited and it's also potentially an endorsable offence. 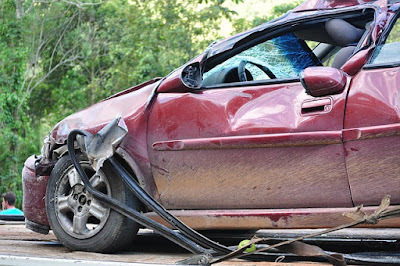 If you are involved in a road traffic accident, now or at any other time of year, reputable car insurance should be able to help with the costs. In any case, a clear windscreen should help to make driving safer. You could even find yourself enjoying the crisp, quiet mornings. Since Greenbee launched four years ago, we've provided insurance with the same high standards of service and value for money that you'd expect from John Lewis, so we've decided to change our name to John Lewis Insurance. As we evolve, we'll continue to offer our customers exceptional products and service. We believe that everything we do should be straightforward, great value and come with an extra level of service that's always reassuring. Which is why our Home Insurance includes accidental damage as standard. And faithful friends will be pleased to know that our Pet Insurance includes older dogs. We all know that it makes a lot of sense to buy the important things from someone you trust. In fact, you'll find that all the products and services offered from John Lewis Insurance are exactly what you would expect from the John Lewis Partnership.